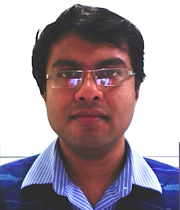 Dr. Sarthok Sircar was a Lecturer- School of Mathematical Sciences at the Adelaide University-Australia. He has completed his PhD in 2009 in Applied Mathematics from University of South Carolina followed by postdoctoral fellowships in University of Colorado and University of Utah in USA. In the past 12 years of his scholastic work in the field of Applied Mathematics, he has applied multi-scale modeling, numerical simulations and experimental design to solve complex problems viz. dynamics and rheology of active gel systems, bacterial swarming and aggregation, swelling kinetics of ionic gels and liquid crystals polymers. His research work has been published in the form of peer reviewed journal articles (18), book chapters (1), guest lectures (20) and conference proceedings (1). His work has obtained 200+ citations with h-index of 8 and i-index of 7. He has taught courses in Calculus, Differential Equations, Linear Algebra, Calculus of Variations, Optimization and Mathematical Biology. Developing multiscale models and robust numerical algorithms for complex systems.